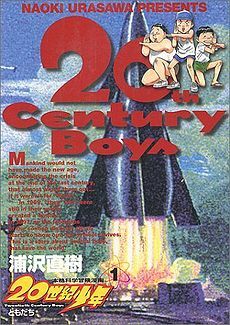 The trilogy of 20th Century Boys live-action films (directed by Yukihiko Tsutsumi) is set to be one of the biggest undertakings ever in the Japanese movie industry. The project not only has a budget of 6 billion yen, but it was revealed that it will feature a cast of 300 people. As a side note it must be said that the movie follows the story portrayed in manga almost to the letter.